The room, filled with the smell of grease and oil, is decorated with flags bearing the Air Force emblem. Once an Air Force mechanic, Robert Salazar now teaches auto mechanics to high school students to pass on his knowledge. Before teaching in Canyon, auto mechanics teacher Robert Salazar taught high school on the Navajo reservation near Gallup, New Mexico for one year and at New Mexico Junior College as a Ford ASSET instructor for six years. 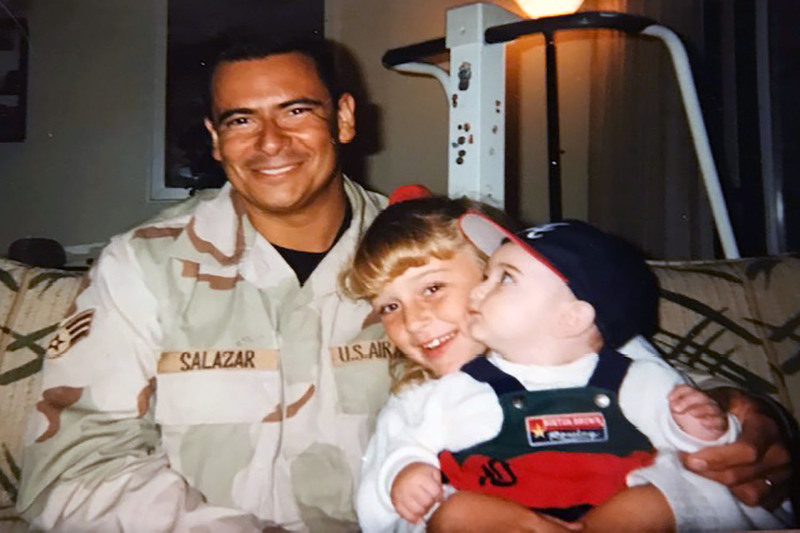 Salazar enlisted in the military from 1993 to 1997 as a special purpose maintenance mechanic for the Air Force to work on runway equipment and keep the runway open for the landing and taking off of planes. Salazar said it feels good to have done something larger than himself. Salazar’s father and uncles were also in the military. During his time in the military, Salazar was stationed at Cannon Air Force Base and deployed to Fort Bragg, North Carolina and Riyadh, Saudi Arabia. While most units deploy as a unit, mechanics are sent one at time. Salazar said serving in the military gave him a greater appreciation for many things.